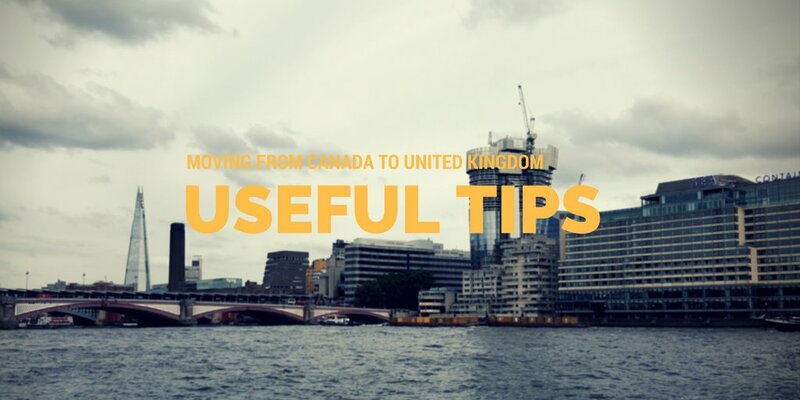 When moving back and forth from Canada to the UK, mostly people will either write themselves a cheque or do a wire transfer via their bank. These options normally end up costing you a lot with their fees and crappy exchange rates. Here are my two recommendations and it’s different if you’re going from CAD to GBP or GBP to CAD. This is by far you best option if you’re looking to send money from Canada to the UK. Their spreads are very minimal and the fee to send money overseas is a lot cheaper than the other usual options like, Western Union, or VISA Debit. ZenBanx also has one extra feature that the other options do not, they are an actual bank with the ability for multiple currencies. This means you can swap out your CAD for GBP on the fly via their phone app or through accessing your account on your desktop. So, if the rate is good, swap and hold, then send it yourself when it suits you. They also give you a debit card that you can use in the UK that will extract funds from your GBP portion when withdrawing from a UK ATM. They sometimes have special new joiner promotions, where they hand out free money. Even without that, you can find someone who’s already a customer and use their referral code for a free $25 CAD. Even if you’re already using another foreign exchange service, it might be a good idea to create an account like this for emergencies until you get yourself setup in the UK. TransferWise has a really cool method of transferring money overseas. This has been by far the best way to transfer money from the UK to Canada. It’s essentially a peer-to-peer exchange of currency. This is how it works from a customer perspective. Say you want to send £1000 to your Canadian bank account. Transferwise will send you a bill for £1000. Once you’ve paid the £1000 bill, they’ll send you the equivalent in CAD to your Canadian bank account. It’s really as simple as logging into your UK bank account and transferring the money to TransferWise. The money generally shows up in your receiving account after 24 hours. Transferwise fees are extremely low and their spread feels almost non-existent when you compare it on apps like XE Currency Exchange. You’ll want to have some credit cards that offer points and rewards. There are credits which have zero fees when travelling and purchasing in a foreign currency. You can save money and get better service by buying a phone plan on a yearly contract. If you’re thinking of staying long enough to become a permanent resident you might want a mortgage in the future. To get started there are two things you can do before moving over to the UK. Apply for for your National Insurance (NI) number online. This is so that you can receive the application package on arrival. If you don’t know where you’ll be staying yet in the UK, I recommending using a friend’s address or getting an Airbnb for a few weeks. I personally used the latter. Once you’ve submitted the application you’ll receive your official NI number in a few weeks time. By then, you might have already moved, but you can always call the HMRC (the tax office) to update your details and to send you the letter to your new address; I recommend doing this immediately when you know your new address. American Express allows you to switch your Canadian Amex card into a UK Amex of the same type. For example, if you have an American Express Preferred Gold in Canada, you can swap it for the same type. You can do this once you have received your NI number. This is important because this is how they’ll be able to track that a bank has given you credit to use and as long as you pay your bills, it’ll start to build up. If you don’t have one you can apply for one here; all assuming you have a good credit rating in Canada. After moving over, here are a couple more things you can do. Immediately register to vote. You can use wherever you’re living first (with the exception of hotels of course). This plays a relatively large role in getting credit in the UK. You can find the page to register here. This essential proves you’re a resident in the UK and does offer you voting rights as a Commonwealth citizen; essentially you can vote on any national election or referendum. The last thing you can do when you arrive is open up a bank account. Most people’s immediate thought is that they can open a bank with one of the big international banks like HSBC. However, this is usually not the case. You’ll likely get refused if you don’t have a job in the UK. For the majority of people arriving in the UK without a job, your best bet are the local banks. I personally used Lloyds but others have a had success with Natwest. When I had applied for my account I only needed to bring the address that I was currently staying in and my passport. Afterwards, I transferred my money over from Canada. The account they gave me was, of course, the most basic of accounts. Even the debit card they gave me, didn’t have contactless payment as a feature on the card until I had my credit built up. You can however use most debit cards like credit cards in the UK to make online purchases. Once you land your first job, it’ll be worth looking into switching bank accounts or upgrading it to one of their current accounts that have bonus features. For Lloyds I upgraded to a Club Lloyds account which gave me 6 free movie tickets to Vue Cinemas and 4% interest (on up to £5000). You are good to go if you are moving your American Express card from Canada to the UK. American Express is really the only credit card provider who offers any sort of real reward when it comes the credit card loyalty game. I mostly use my points to transfer them to BA points. You’ll notice that a lot of the Amex cards in the UK do come with “first year free” and tons of bonus points. It is possible to sign up for one every 6 months and actually get all the bonus points. I signed up for 2 cards during my stay and racked up enough points, including all my purchases, to pay for 2 trips back home (London to Toronto). Halifax, the bank, also offers a great card if you’re travelling a lot; called Halifax Clarity. You can use this card for whenever you need to pay something that isn’t in British Pounds. I used it when I went home to Canada, travelling around Europe, and even the States. They have 0% exchange rate fee, and the exchange rate is really good. I even use it to withdraw cash from ATM machines when I need to. If you withdraw cash, be sure to pay off your bill immediately as withdrawing cash will incur interest. You don’t need too much credit to get this one, in comparison to cards like American Express. After a few months in your first job and registering your right to vote, you should have enough credit to qualify. A lot of estate agents will charge enormous admin fees, they can range from £100 to £800. You can avoid paying these if you find a private landlord using one of the sites above, but be aware agents are on the site too. When going through these kind of sites, be wary of scammers. Never send money via online transfers and get the keys in persons. When I had arrived in London, the market was booming. Most of my friends were finding jobs within months, if not weeks. Recruiters in the UK are really aggressive when trying to help you find work. I definitely recommend seeing as many as you can, and meet them in person if you can. They can really help you prepare for interviews in the UK market. For me, a few recruiters took a look at my resume and helped me improve the quality of my applications. Look at websites like www.reed.co.uk. I recommend creating a profile here and submit your resume to as many job postings (similar to what you want) as you can everyday. By logging in everyday, it puts your profile back on the top of the list of recommended candidates that recruiters see. The majority of postings are by recruiters but that’s what you want. After a few weeks of doing this your resume will be floating around quite a few recruiter databases and you’ll likely hear back with in a couple weeks. If you aren’t getting any calls, definitely consider giving a few recruiter agencies a call and ask for an in-person meeting to get help with your resume. Linkedin and Indeed are other sites you consider. Both are great if you’re looking for something more specific. You can use Linkedin to find the recruiter’s details and message them directly to get more visibility on your application. This way I can get more visibility on my application. It’s worth paying the $30 a month for the premium services on Linkedin, and a must if you want your applications on the platform to actually mean something. The London Tube is a great way to get around the city, and is now 24 hours for some of their biggest lines. Upon arriving, it is possible to buy an Oyster card from most of the airports. If this isn’t possible, you can always buy a one-way ticket into the city and purchase an Oyster card at any of the station inside the city. In case you don’t have any cash, you can pay for one using a credit card. However, in the future, once you have a debit card or credit card with contactless payment, you can simply use that instead for all your trips in London. If you plan on making any train trips outside of London, I recommend buying your tickets well in advance if possible. You can always check ticket prices on your desktop or phone at the Trainline. If you’re looking to fly within the UK, it is generally cheaper than the train. If you’re looking out for the best deal, always buy your tickets in advance. Here’s a list of your budget airlines to keep track of: EasyJet, Ryanair, and Aerlingus. For the rest of Europe, there are many other budget airlines. If you’re looking for a cheap taxi service, you have a couple options. The largest players are Uber and Addison Lee. Both use a phone app to hail your ride and offer various kind of fares. UberPool is available in London but only for zone 1 and 2. To compete with Uber, Addison Lee does a lot of promos. I definitely recommend keeping both apps on your phone and use whichever service is cheaper. I have no interesting in moving, let alone out of the country, but still, really good write up, with lots of good suggestions and well hyperlinked. I really hope this finds its way to the eyes of people that can benefit from it, as I’m sure it will help a lot!